Are you looking for a company that can provide you with IT support for your company? It can be very difficult to find a business with representatives that can provide you with this type of service. Many of the companies that offer these services will have professionals that are skilled with HP servers, and because of that, they will be able to handle any problem that you may have. To find a reputable business that can help you, here is a quick overview of how you can find the best IT support for HP servers available today. The easiest way to locate these companies is to find a business that has a good reputation within your community. These are companies that are likely working with many other businesses that are searching for IT support providers that work specifically with HP servers. It is important for them to have this training. This will enable them to provide you with the type of help that you need, regardless of the situation you are facing. It’s an easy way to deal with any issues that come up, even if you have to have them physically come out to your location. What If They Do Need To Come Out To Your Offices? If they do need to come out to your office, there are several things that you will be able to do. For example, they can look at the server physically. They can run programs on your computer systems, troubleshooting for all of the problems that you are facing, and may even be able to replace the server while they are there. It’s important to work with a local company if possible. However, you may also have support groups that are only going to provide you with this information over the phone. These might be useful if you have quick questions where you can implement the changes directly. If you do need to have access to a local company, you will want to search for one of those. Finding those that provide local support is not that hard to accomplish. If you are in a large city, there are probably several companies that offer this type of service. You will want to ask how much they charge for their services, and how comprehensive they actually are. This will make it easier for you to choose one that is going to offer you with very personalized service. You can verify that they are companies that you should be working with. For example, they will have reviews online that will indicate that they are doing a good job. You may also have friends or colleagues that are using the same services, and can make a personal recommendation for you. It’s going to help you find the best businesses that are not only affordable but competent at what they do. Will It Take Long To Get Set Up With These Companies? It’s not going to take very long at all to start working with these businesses. You should be able to connect with them very quickly. If they have an opening, or if they have enough IT tech support workers that can just start working on your case, you might be able to sign up and get immediate help. If it is a local company, they may not be able to send someone out right away. However, there is always the possibility that they can send someone out within a few minutes. You have to make several calls to make sure that you will be able to work with one of these companies that can help you resolve any and all server issues that you are facing. What If They Are Not Skilled With HP Servers? If they are not skilled with HP servers, then you will probably want to find someone else. 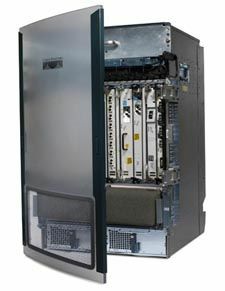 These are very specific types of servers that only work with Hewlett-Packard computers. They are going to have different problems that can arise, and all of these things are going to be problematic specific to those particular PCs. That’s why you need to only work with ones that are using these particular types of servers. Should You Work With More Than One Company? You should consider working with more than one company if you can. It is a great way to have more options. One of the services may not have anyone available to come out, whereas others may have a couple of technicians that are in the area. If it is a problem that they can walk you through, they will simply talk with you on the phone. Sometimes the phone lines are going to be busy. That’s why having access to a couple different companies might be appropriate, especially if you have a very large business where technical problems are occurring all of the time. Can Most Of The Problems Be Handled Over The Phone? Most of the problems can be handled over the phone with servers. They should be able to provide you with downloads that can be installed on your computer to fix any problems you are facing. In addition to this, tech support can be provided by email only. They can provide you with the steps that you need to take on your side that can be done in just minutes. In most cases, HP servers are going to be very reliable. That’s why many people have them. However, there is always a need for IT support for HP services from time to time. By working with skilled technicians that are well aware of what can go wrong, they will immediately be able to identify and help you resolve the problem. Can They Replace Servers For You? Whether they can replace the servers for you or not depends on the level of service that you have requested. For example, if you are working with a company that provides full service for tech support, which includes coming out to your location, they can bring a new server with them if necessary. All of your information will need to be backed up. They may actually provide you with a way to upload everything to the cloud. Once that is done, they can then switch out the physical server and download everything. This will save you the time of having to restore all of your data physically. If the tech support company that you are working with also has your servers, this should be an automated process. When you are choosing to work with a server provider, and they do offer tech support, this is one of the benefits of getting this type of support through companies that offer you the hosting. If you want the best IT support for HP servers, try to obtain this through the hosting provider that is allowing you to present your website and all other information. If they already work with these servers, they likely have backup servers that are already ready to go. They will simply download your information to a new server without any interruptions to your business. This may cost a little bit more, but it’s going to be beneficial if you have a business that is generating thousands of dollars a day. The small amount of money that you will pay for this extra IT support will make it easier for you to feel confident when you have any problems with your servers along the way. Alpha Digital as an HP partner can assist with all products whether it’s a Procurve switch or ProLiant server to tape libraries and storage arrays. We also offer a range of end of life legacy products with a particular focus on UNIX servers running OVMS, Tru64, and HP-UX. So whatever your HP need, our HP trained and certified sales team is here to help. Our expert sales team are always on hand. Call 08450 211 211 or use our contact form for more information.